<span “font-size:12.0pt;=”” line-height:107%;font-family:”times=”” roman”,”serif”;mso-fareast-font-family:=”” “times=”” roman””=”” style=”color: #000000; font-family: Arial; font-size: 14px; line-height: 21px; text-align: justify; background-color: #ececec;” data-mce-style=”color: #000000; font-family: Arial; font-size: 14px; line-height: 21px; text-align: justify; background-color: #ececec;”>According to the World Health Organization, the USA leads the world in ladder deaths. Every year, there are more than 164,000 emergency room-treated injuries and 300 deaths in the U.S. that are caused by falls from ladders. In fact, most ladder deaths are from falls of 10 feet or less. We recommend saving your own time, energy, and health and making the small investment to hire a professional window cleaner. But, before you hire just anyone to service your home, there are some important topics that should be considered so that you hire a qualified and reputable company. <span “font-size:12.0pt;line-height:107%;font-family:=”” “times=”” roman”,”serif””=”” style=”color: #000000; font-family: Arial; font-size: 14px; line-height: 21px; text-align: justify; background-color: #ececec;” data-mce-style=”color: #000000; font-family: Arial; font-size: 14px; line-height: 21px; text-align: justify; background-color: #ececec;”>The Chicago window cleaning market offers home owners a variety of window cleaning companies to choose from. Generally speaking, there are 3 types of companies in our market. There are large, and small, companies that have been around for decades, there are even more start-up companies and franchises, and then there are “fly by night” companies, or here today, gone tomorrow companies. Since there are 3 vastly different types of companies, there are many considerable differences in quality of service offered. 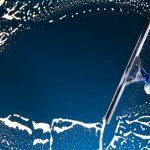 As a homeowner, and potential consumer of window cleaning services, it is important to do your research up front to ensure that the company that you will be hiring is qualified to complete the job to your standards. <span “font-size:12.0pt;line-height:107%;font-family:=”” “times=”” roman”,”serif””=”” style=”color: #000000; font-family: Arial; font-size: 14px; line-height: 21px; text-align: justify; background-color: #ececec;” data-mce-style=”color: #000000; font-family: Arial; font-size: 14px; line-height: 21px; text-align: justify; background-color: #ececec;”>We recommend that you ask these 5 questions before hiring a professional window cleaner. If the company cannot meet these qualifications then you may ask yourself if you are using the right company for the job. <span “font-size:12.0pt;line-height:107%;font-family:”times=”” roman”,”serif”;=”” mso-fareast-font-family:”times=”” roman””=”” style=”color: #000000; font-family: Arial; font-size: 14px; line-height: 21px; text-align: justify; background-color: #ececec;” data-mce-style=”color: #000000; font-family: Arial; font-size: 14px; line-height: 21px; text-align: justify; background-color: #ececec;”>1. <span “font-size:12.0pt;line-height:=”” 107%;font-family:”times=”” roman”,”serif””=””>Insurance – Is your contractor properly insured with both worker’s compensation and general liability coverage? In the event that someone falls or is injured on your property you want to make sure that you are not at risk of being sued as liable. <span “font-size:12.0pt;line-height:107%;font-family:”times=”” roman”,”serif”;=”” mso-fareast-font-family:”times=”” roman””=”” style=”color: #000000; font-family: Arial; font-size: 14px; line-height: 21px; text-align: justify; background-color: #ececec;” data-mce-style=”color: #000000; font-family: Arial; font-size: 14px; line-height: 21px; text-align: justify; background-color: #ececec;”> Our Answer<span “font-size:12.0pt;line-height:107%;font-family:=”” “times=”” roman”,”serif””=”” style=”color: #000000; font-family: Arial; font-size: 14px; line-height: 21px; text-align: justify; background-color: #ececec;” data-mce-style=”color: #000000; font-family: Arial; font-size: 14px; line-height: 21px; text-align: justify; background-color: #ececec;”>: Yes, we carry both worker’s compensation insurance and general liability coverage. We are happy to provide copies of our insurance certificates upon request. 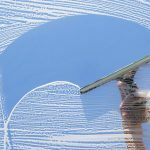 For over 5 decades, Green Clean Window Cleaning’s professional window cleaners have been delivering high-quality results without incident to our customers. <span “font-size:12.0pt;line-height:107%;font-family:”times=”” roman”,”serif”;=”” mso-fareast-font-family:”times=”” roman””=”” style=”color: #000000; font-family: Arial; font-size: 14px; line-height: 21px; text-align: justify; background-color: #ececec;” data-mce-style=”color: #000000; font-family: Arial; font-size: 14px; line-height: 21px; text-align: justify; background-color: #ececec;”>2. <span “font-size:12.0pt;line-height:=”” 107%;font-family:”times=”” roman”,”serif””=””>Experience – Does the contractor have the experience to effectively and efficiently complete your job on time? 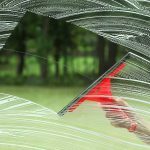 There is an art to window cleaning that can take years to learn. One cannot simply pick up a squeegee and a bucket and become a qualified professional window cleaner. <span “font-size:12.0pt;line-height:107%;font-family:”times=”” roman”,”serif”;=”” mso-fareast-font-family:”times=”” roman””=”” style=”color: #000000; font-family: Arial; font-size: 14px; line-height: 21px; text-align: justify; background-color: #ececec;” data-mce-style=”color: #000000; font-family: Arial; font-size: 14px; line-height: 21px; text-align: justify; background-color: #ececec;”>3. <span “font-size:12.0pt;line-height:=”” 107%;font-family:”times=”” roman”,”serif””=””>Safety – Has your contractor been properly trained in safe practices? <span “font-size:12.0pt;line-height:107%;font-family:”times=”” roman”,”serif”;=”” mso-fareast-font-family:”times=”” roman””=”” style=”color: #000000; font-family: Arial; font-size: 14px; line-height: 21px; text-align: justify; background-color: #ececec;” data-mce-style=”color: #000000; font-family: Arial; font-size: 14px; line-height: 21px; text-align: justify; background-color: #ececec;”> Our Answer<span “font-size:12.0pt;line-height:107%;font-family:=”” “times=”” roman”,”serif””=”” style=”color: #000000; font-family: Arial; font-size: 14px; line-height: 21px; text-align: justify; background-color: #ececec;” data-mce-style=”color: #000000; font-family: Arial; font-size: 14px; line-height: 21px; text-align: justify; background-color: #ececec;”>: Safety is always our #1 goal. Green Clean Window Cleaning technicians are trained on the proper and safe use of all of our equipment. Some of our important safety focuses are on preliminary site assessment, ladder safety, extension pole safety, and pressure washing safety. We have numerous scientifically proven tools in service that allow us to maintain maximum safety for all parties on every job. <span “font-size:12.0pt;line-height:107%;font-family:”times=”” roman”,”serif”;=”” mso-fareast-font-family:”times=”” roman””=”” style=”color: #000000; font-family: Arial; font-size: 14px; line-height: 21px; text-align: justify; background-color: #ececec;” data-mce-style=”color: #000000; font-family: Arial; font-size: 14px; line-height: 21px; text-align: justify; background-color: #ececec;”>4. <span “font-size:12.0pt;line-height:=”” 107%;font-family:”times=”” roman”,”serif””=””>Education – Is your contractor knowledgeable about proper cleaning methods? <span “font-size:12.0pt;line-height:107%;font-family:”times=”” roman”,”serif”;=”” mso-fareast-font-family:”times=”” roman””=”” style=”color: #000000; font-family: Arial; font-size: 14px; line-height: 21px; text-align: justify; background-color: #ececec;” data-mce-style=”color: #000000; font-family: Arial; font-size: 14px; line-height: 21px; text-align: justify; background-color: #ececec;”> Our Answer<span “font-size:12.0pt;line-height:107%;font-family:=”” “times=”” roman”,”serif””=”” style=”color: #000000; font-family: Arial; font-size: 14px; line-height: 21px; text-align: justify; background-color: #ececec;” data-mce-style=”color: #000000; font-family: Arial; font-size: 14px; line-height: 21px; text-align: justify; background-color: #ececec;”>: Green Clean Window Cleaning technicians attend monthly education meetings. These meetings focus on proper safety practices as well as proper cleaning methods. Our technicians are trained and educated in all aspects of proper window cleaning, pressure washing, and gutter cleaning. Our management department is also very proactive in the search for the most cutting edge and safest tools and equipment for our technicians to utilize in every line of service that we provide. With over 50 years of service it is safe to say that we are highly educated with the Chicago market. <span “font-size:12.0pt;line-height:107%;font-family:”times=”” roman”,”serif”;=”” mso-fareast-font-family:”times=”” roman””=”” style=”color: #000000; font-family: Arial; font-size: 14px; line-height: 21px; text-align: justify; background-color: #ececec;” data-mce-style=”color: #000000; font-family: Arial; font-size: 14px; line-height: 21px; text-align: justify; background-color: #ececec;”>5. <span “font-size:12.0pt;line-height:=”” 107%;font-family:”times=”” roman”,”serif””=””>Professionalism – Does your contractor represent him or herself in a professional manner, making sure that you can take pride in the quality product provided? <span “font-size:12.0pt;line-height:107%;font-family:”times=”” roman”,”serif”;=”” mso-fareast-font-family:”times=”” roman””=”” style=”color: #000000; font-family: Arial; font-size: 14px; line-height: 21px; text-align: justify; background-color: #ececec;” data-mce-style=”color: #000000; font-family: Arial; font-size: 14px; line-height: 21px; text-align: justify; background-color: #ececec;”> Our Answer<span “font-size:12.0pt;line-height:107%;font-family:=”” “times=”” roman”,”serif””=”” style=”color: #000000; font-family: Arial; font-size: 14px; line-height: 21px; text-align: justify; background-color: #ececec;” data-mce-style=”color: #000000; font-family: Arial; font-size: 14px; line-height: 21px; text-align: justify; background-color: #ececec;”>: All Green Clean Window Cleaning technicians are required to pass annual background checks and wear a photo identification badge at all times. Our technicians are professionally uniformed and wear collared shirts. We are clearly identifiable as Green Clean employees. We have professionally lettered vehicles that are marked with our logo and telephone number. We guarantee that our entire staff is polite and courteous. And, we take great pride in the fact that our technicians use the best available tools and solutions on each job. 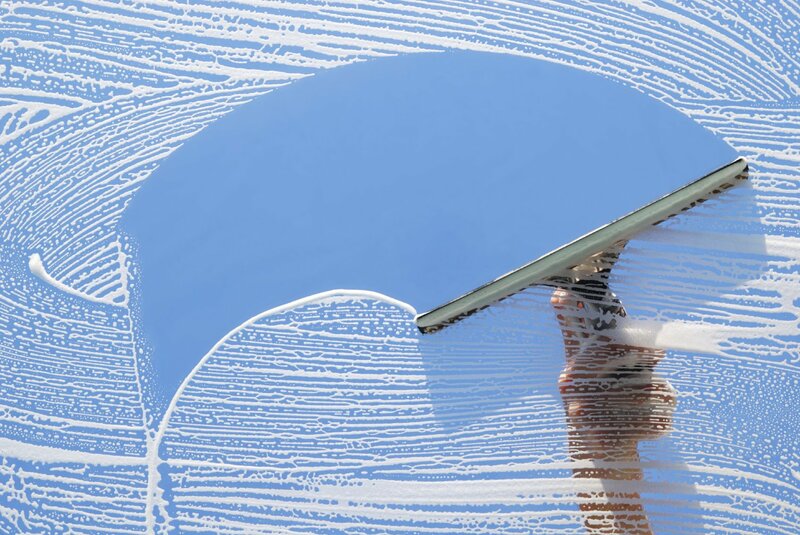 We represent one of the window cleaning industry’s premier service providers. We are committed to providing you with exceptional services and professionalism from start to finish so that we can develop a strong relationship with you for years to come. You will not be embarrassed to have us working on your property. Fox River Grove Illinois – Dirty Windows are Unacceptable – No Matter How High They Are!